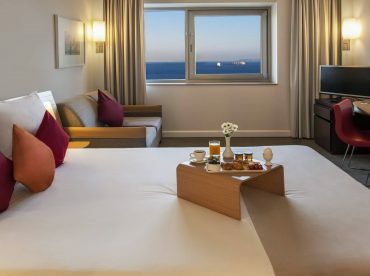 The Novotel Istanbul Zeytinburnu Superior rooms, with modern décor and a spacious design, let you experience the comfort and watch the unique view of Sea of Marmara. In the rooms with two twin beds, there are 32-inch LCD TV, minibar, wireless Internet, complimentary tea / coffee, desk, safe and hair dryer available to make each guest’s stay comfortable. For a professional service and peaceful stay, your address is Novotel Istanbul Zeytinburnu.